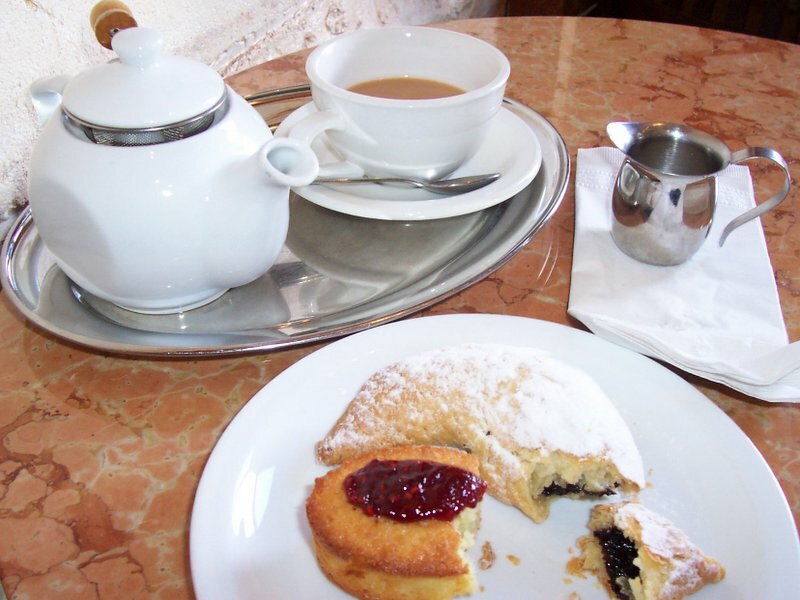 On February 15 I wrote about my favorite pastries at Crixa Cakes, my neighborhood bakery. I also like to study at Crixa. Early in March I went to Crixa to read Urban Fortunes by John Logan and Harvey Molotch. The book is part of a long reading list for a paper on green-space initiatives and nature-makers. As usual, when I arrived at Crixa, I was delighted by the fantastic choices. I ordered simply: a pot of tea (Russian Caravan described as not too smokey), an almond cake (it is a small cake, a spongy cookie really), and a plum kifli. The plum kifli was so very jammy. I brought my camera with me that day.